Diver watch for Borealis watch company. 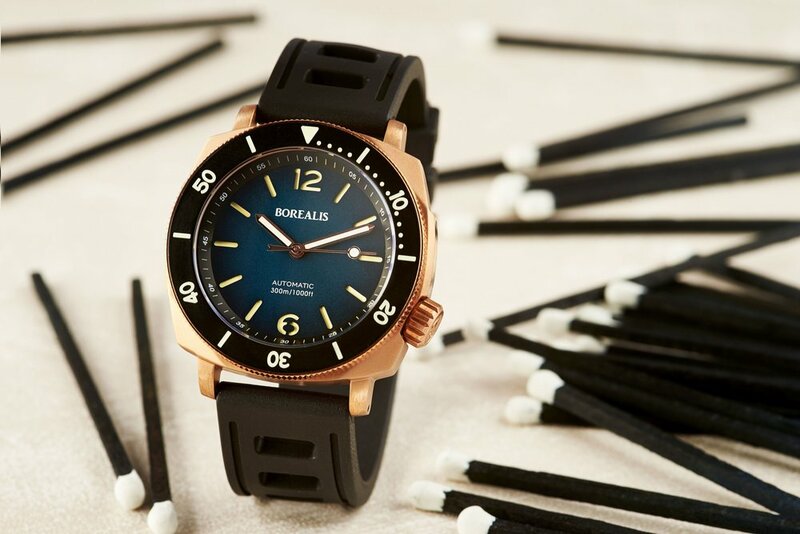 This diver is collaboration between our design studio and famous Borealis watches, that produce affordable divers. The crown is on 4 hour position for more comfortable wearing. Tritium tubes on the bezel and on dial. Engraving on the sapphire glass.